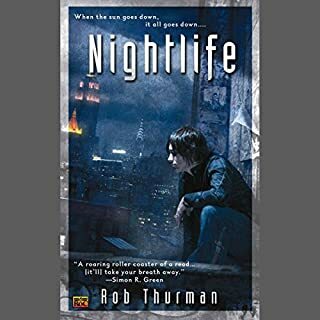 In New York, there's a troll under the Brooklyn Bridge, a boggle in Central Park, and a beautiful vampire in a penthouse on the Upper East Side. Of course, most humans are oblivious to this, but Cal Leandros is only half-human. His father's dark lineage is the stuff of nightmares - and he and his entire otherworldly race are after Cal. Entertaining, paced well, great character development. The first book on the series was thoroughly enjoyable.